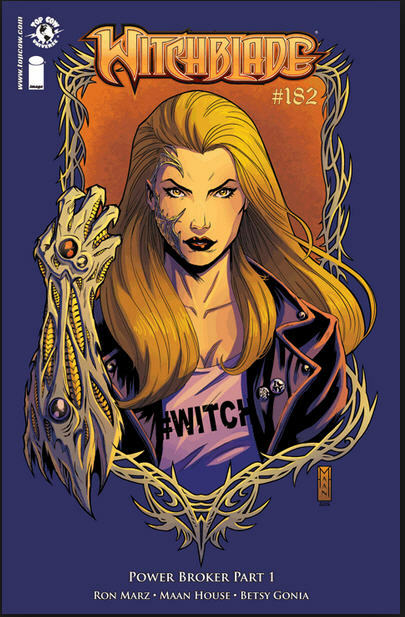 While I have been consistently reading the Witchblade saga, I have not posted on it in a while (my last one was for issue #176). The reason being that the recent issues were just not blog-worthy. I enjoyed them, but they lacked the depth of content that made for an interesting blog post. This issue, though, inspired me to write. I require someone with power, and experience in wielding it. Everything I’ve done, everything I’ve gathered here, is so I can keep the world safe from the evil at its edges. I need a knight to serve me, Sara. I need you. I am one who believes in parallel dimensions, so the idea of someone being able to pass through the veil and visit hidden worlds is something I find fascinating. In the past, the writers of Witchblade have drawn on mythology and the supernatural, and I closed this issue with the distinct impression that the creative team is returning to this formula, which I am very happy about. I’m trying not to raise my expectations too high, but I have a good feeling about the direction the story is taking. I suppose more will be revealed next month. I’ll be sure to let you know my thoughts–good, bad, or indifferent.